We are pleased that you are considering letting Lee and Harrell Real Estate Professionals guide you through your home buying or selling process. We pride ourselves in giving each client specialized attention and catering to their own personal needs. We look forward to showing you why we like calling Greenville, North Carolina and Pitt County home. Jason Harrell and Kevin Lee have compiled information on the Greenville North Carolina Real Estate Market. We hope that this information will be helpful to both buyers and sellers looking to make a move to the Pitt County area. Enjoy searching all homes for sale in the Greenville, NC, area on our free MLS home search. You will be able to search listings for sale in Greenville, Winterville, Ayden, Grifton, Farmville, Bethel, Grimesland and Simpson. Be sure to visit our links page to learn more about East Carolina University, Vidant Medical Center, Brody School of Medicine, Pitt County Schools and many, many more. We are excited about showing you why Greenville, North Carolina, and its surrounding communities of Ayden, Grifton, Grimesland, Simpson and Farmville are all great places to call home. 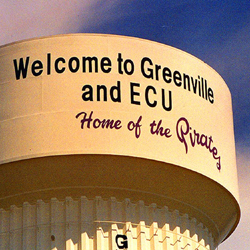 When you visit Greenville, NC, you will immediately be impressed by its blend of urban development and unique southern charm. Even though changing homes is an exciting experience, it is one that can be filled with challenges. This is where you will find that working with our team will be a rewarding and worthwhile experience. We have seasoned and trained agents that know this market very well. They are well- versed in the art of negotiating and want you to get the very best possible deal available in the market place. We strive to be the very best at our job. We want your home buying or selling process to be a very pleasurable experience. We have spent much time in developing our website to help give you the most information about our local Greenville home buying process as well as local community activities. For the first time, buyers and experienced home buyers will have a lot of great information on the Buyer's section of our website. Be sure to sign up to receive an automatic update of new listings as they come on the market. Be the first to get this information and to check out our featured listings section on the site. Our sellers have their own section as well filled with useful information on the entire listing process. We will also be happy to email you or set up an appointment with you to give you a market analysis of your home. This service is absolutely FREE. You will find that working with Lee and Harrell Real Estate Professionals is one of the best experiences of your life. We feel that our being from the local area will give you a huge advantage in learning about the past, present and future Greenville. We look forward to helping you with the home buying or selling process. Please remember, we want to work for you and we are trained in every aspect of handling your important transaction. Email Listing Alerts: Be the first to know what's coming up for sale in the Greenville NC, real estate market with our New Property Listing Alerts! Just tell us what you're looking for and we'll email a daily update of all homes listed for sale since your last update. You can unsubscribe at any time. Lets Take A Tour Of The Area ! For home buyers, our knowledge of the Greenville NC real estate market is second to none. We know the neighborhoods, the current market conditions, and the opportunities for buyers in today’s market. Our buyer specialists are committed to helping you find the home you want at the best possible price. Finding your dream home or finding a buyer is only part of the challenge of a successful transaction. There are many details that need to be managed through closing, and Greenville NC Homes for Sale brings the depth and breadth of skills and experience required to ensure your transactions go smoothly. Our commitment is to provide you the quality of service and communication you desire and deserve.